Rattan cover included for Ice Bucket when not in use. 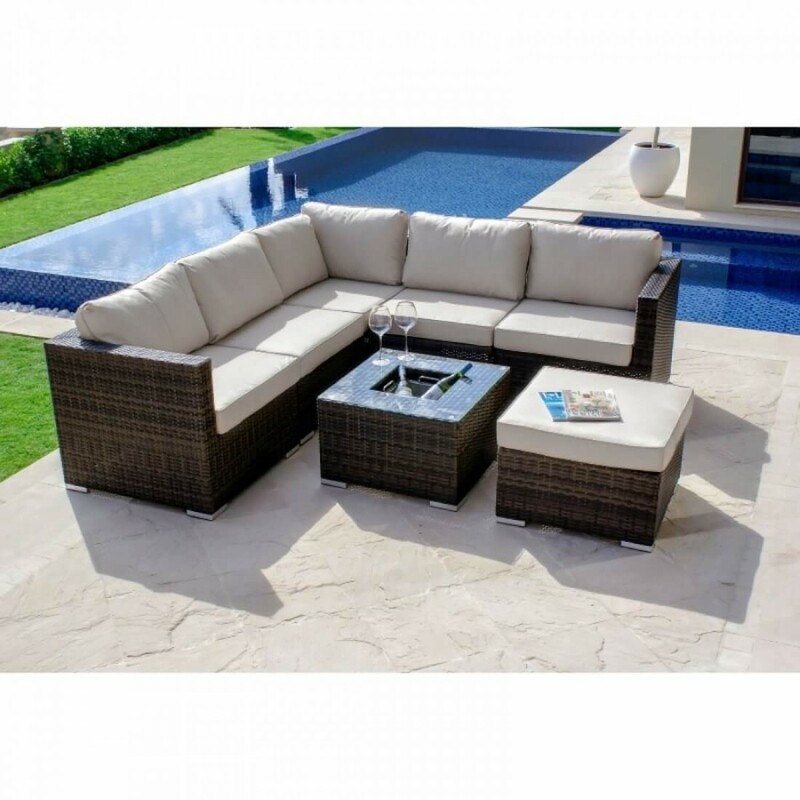 Why Choose the London Corner Sofa Set with Ice Bucket? The London Corner Sofa set has been designed to work both indoors and outside. Its generous seating area comes with densely stuffed pillows for total relaxation. 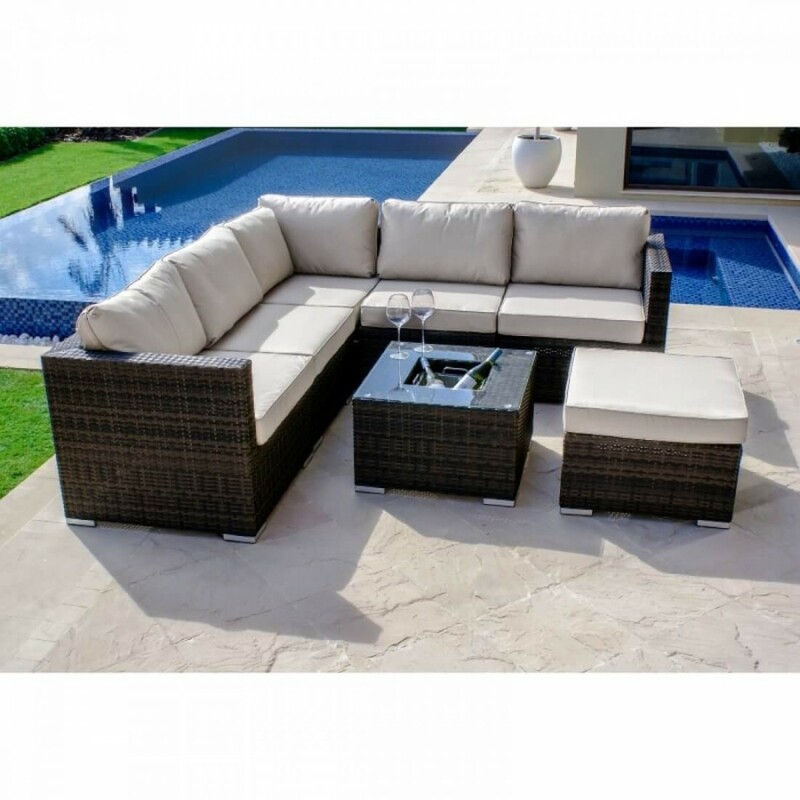 Included in the set is a separate footstool and square glass topped coffee table complete with luxurious Ice Bucket in the table centre. 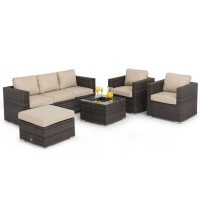 The Flat Weave is a sleeker, more modern approach to classically styled rattan furniture. The smoother surface makes it perfect for the sharp, clean lines used in this design. 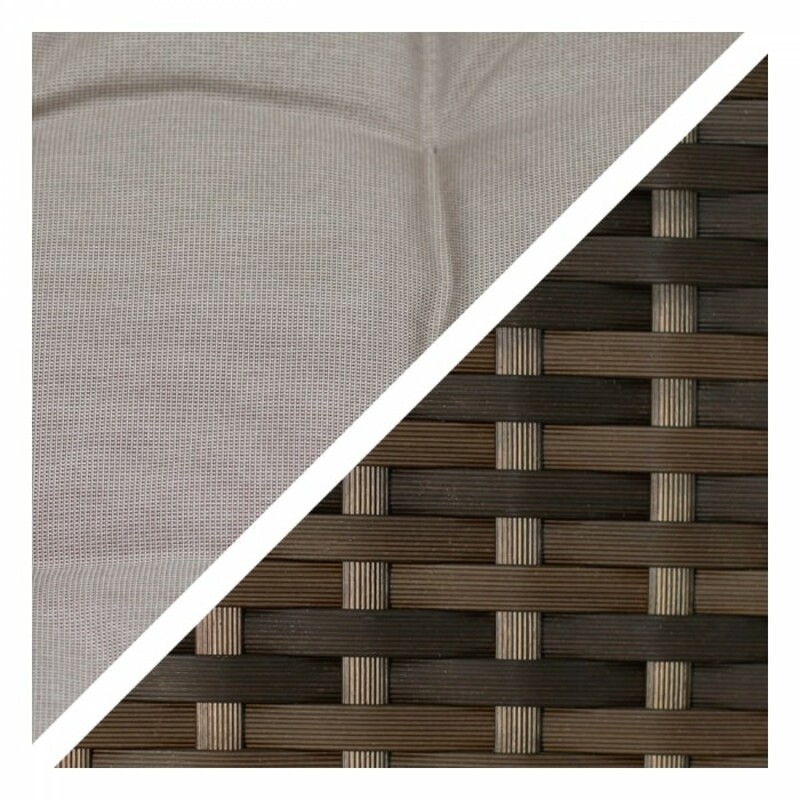 By mixing in darker tones, the flat weave achieves a depth of natural colour, offset perfectly by the corresponding cushions. 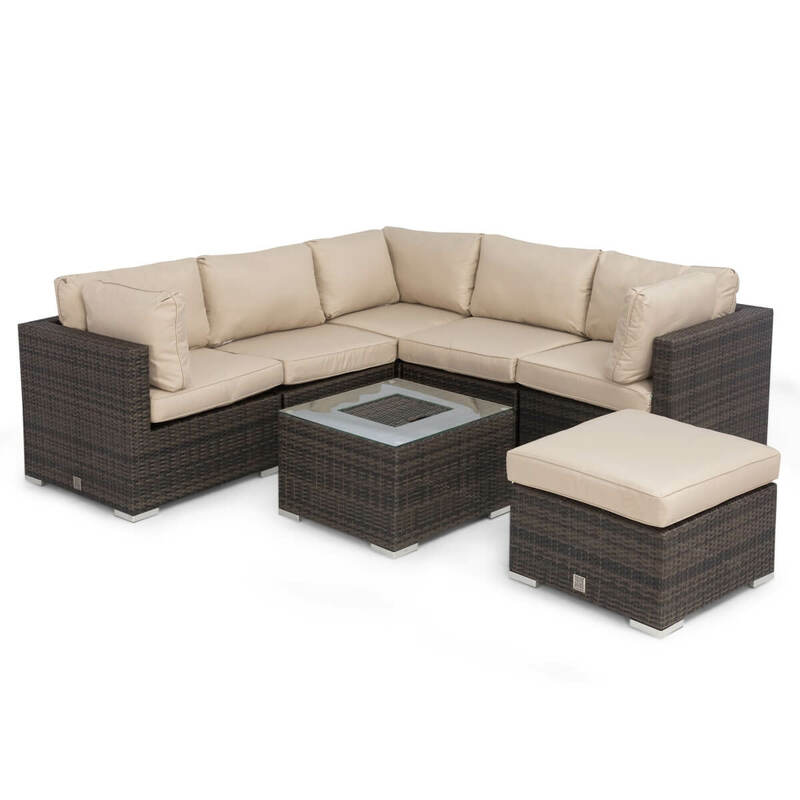 As with all Maze Rattan products, The London Rattan Range is made from the highest quality material, woven onto a powder coated aluminium frame that ensures its use all year – even through the harshest weather. 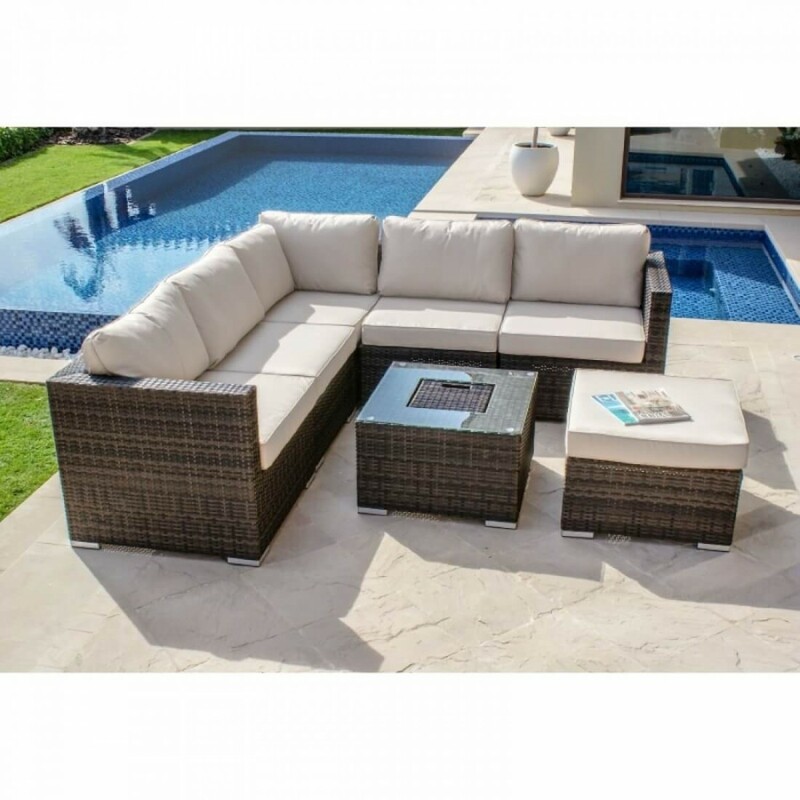 Also, no cover is required for your rattan products – it is beautiful so why hide it away?